I was first introduced to ambient or environmental music by a dear college friend. Back then listening to these contained yet vast, modern yet other-worldly combinations of sound was fueled by a bit of rebellion against the daily opera grind. In fact, I was so moved by shows like Hearts of Space I created an audio presentation of such progressive subtle sounds for my Twentieth Century Music History class, for which I got an ‘F’ and had to do an immediate do-over. Yes, it still irks me! Twenty years later and much, so very much, has changed. Thank goodness! Like all new, progressive art-forms, the Ambient has been accepted and is now taught in colleges throughout the country. Its composers are studied and lauded with appreciation and praise. It goes without saying that it came as a delightful surprise to me that such an up-and-coming creative composer was right under my nose. I grabbed the opportunity to ‘pick his brain’ in between talking shop about texturing (Mr. Holmes is an exceptional artist as well!) and this interview is the result of his kind patience with me and my inquisitiveness. Now, when I say ‘up-and coming’ I mean it! 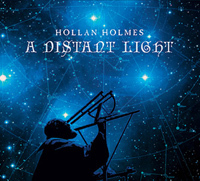 Interviews of Hollan Holmes and reviews of his album “A Distant Light” appear at sonicimmersion, discogs, Steve Roach, and many other sites. Each day more music sites are talking about his work. His music plays on the highly acclaimed program Hearts of Space. I am honored to have this opportunity to sit down with Hollan and chat about his songs, his creative process, and the ever-increasing popularity of his music on the internet. KARA: Hi Hollan. It is truly a pleasure to talk with you about something dear to my heart—modern music. A Distant Light is your latest CD. What do you feel sets it apart from your earlier work? HH: Well, actually, this is my first fully completed music project. It is my first CD. God willing, there will be many more. I’ve wanted to do this since I was in high school, but I concentrated on my art mostly. I could just never shake the desire to make it happen and I finally committed to it in 2005. KARA: How long have you been dabbling with ambient music creation? What other types of music have you enjoyed creating? HH: My fascination with ambient first took hold in 1989, when I discovered Steve Roach, Richard Burmer, Robert Rich and a few others. It was unlike anything I’d ever heard. Before that, though, I had fallen in love with Tangerine Dream and Jean Michel Jarre, so I was already leaning heavily toward the electronic/synthesizer aspect of music. Ambient, however, just opened up this incredible world of possibilities for me. It was wildly inspiring and totally different from the music to which I had become accustomed. I remember “blowing” my ’87 tax return on a Korg DSS 1 sampling synth and a four-track recorder. That was the beginning of my first real explorations into electronic music. The real ambient journey did not start until 2005, when I built a small personal studio and decided to start taking things much more seriously. KARA: What motivates you, what thrill or focus do you get from creating spacious sounds? KARA: (laughing) No. I wouldn’t say that, Hollan! HH: –but I have to admit, it is part of what motivates me. Sound creation, however, is the biggest driver, I think. It isn’t unlike mixing colors while painting. A successful painting happens when the colors are effectively used to capture the light, form and mood of the subject. No different with sound and that is what I try to do. KARA: A fascinating description. It makes me think of how healers talk of the vibrations different colors emit. They are so closely related. KARA: So which song on this CD is your favorite and tell us why? HH: It’s a toss-up between ‘Inevitability’ and ‘Twilight’. Both are very emotional for me and both deal with the point at which our lives draw to an end. Both songs were written when my mother was in decline, so these emotions are always right there when I listen to these songs. I embrace it, though, so it isn’t necessarily sad for me, but it definitely helps to remind me of the fragility of our existence and the precious nature of the here and now. Our lives are little more than a flash in the pan, on the grander scale. ‘Wellspring’ speaks of this bottomless vessel of ethereal energy that feeds the creation of my musical ideas. I never know when or from where I get an idea for a song, but that wellspring, that intangible place, is sacred to me and I hope I can draw from it to the end. The ‘Arrival’ is about the transition from death to whatever is beyond. I imagine it as a very peaceful journey and one that marks the end of Earthbound pain and hardship, where suffering vaporizes and the next phase is undertaken. Inevitability deals with the departure from our Earthly existence. KARA: You know, your music is very subtle, at some points powerful at others fragile. I feel this great sense of spaciousness when I listen to it. What instruments, audio and computer software do you use to create this experience? HH: This entire CD was created in Reason 4.0 and mixed down in Cubase 4. To be clearer, it was entirely created within the computer. 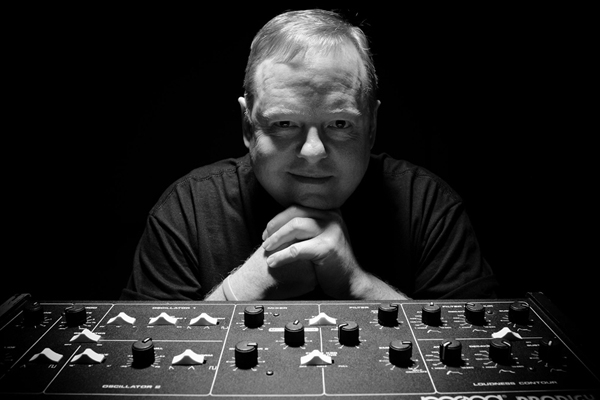 I relied heavily on effects processing, such as reverbs and digital delays, to create the sense of the vastness of space and environmental ambience. I used the three software synths built into Reason as the sound sources. Every single sound on this CD is custom. I try to never use off-the-shelf sounds. I love the creative process of taking a few simple sound waves and turning them into something unique and evocative. 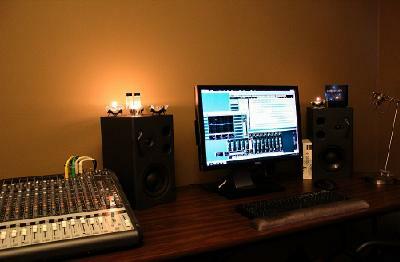 Sound creation is definitely an art form. KARA: This music is very effective for visualization. Infinite spaciousness. Do you ever use it for meditation or when you are working on visual projects? Or is its creation a form of meditation, as well? HH: Yes! My music is how I channel my energy, both positive and negative, and how I purge my demons; it is how I meditate and how I lament. It is my escape and it is my artistic expression. I often listen to my own music, but many others’ works as well, to fall asleep or just chill while reading or while I’m painting. At my day job as a digital texture artist, I have this sort of music running most of my day. KARA: Speaking of infinite space, I did notice the artwork; the lunar landing modules and mapping the constellations, on the CD cover. I am guessing you did this amazing visual artwork as well. Care to elaborate on what choices you made in creating it, what drove you to the use of color and symbols? HH: Confession time. Not a single component in any of this CD’s design is truly mine, except for one. All were created by others and used with permission, save the image on the back with the liner notes and track listing. The lunar module, starfield and Jupiter images are courtesy of NASA and the Wright Flyer is courtesy of Louis P. Christman. I did draw the image of Galileo, but even the inspiration for that was borrowed from an old public domain lithograph. I’ve yet to determine the artist’s name. All of these images, though, were perfect for the theme I wanted to convey and that was the pioneer explorer spirit of man and the story of his past and continuing journey. I was very particular about the color scheme. The deep blues and greens are my favorite colors. I find they produce a sense of tranquility and peace. KARA: I would consider this environmental or ambient music and it calls to mind some songs I really enjoyed in the past by composers like Brian Eno. Who are the composers and musicians who have influenced you? HH: Eno created what, to me and many others, is true ambient music, where he captured real-world sounds from specific locations in the environment. While my music has none of that, I do attempt to take the listener to otherworldly places and unknown sonic landscapes. Steve Roach has been a formidible inspiration to me and a hopefully not-too-obvious influence on my musical direction, as has Richard Burmer, Tangerine Dream, Vidna Obmana, Mark Seelig and many others. They all forged the initial path for the rest of us, but I am trying very hard to travel my own path and no one else’s. KARA: What is the process you follow when you first start a song or CD? Is it a grueling process or a release? Is it pure enjoyment? Intuitive? Structured? Do you use a sort of outline or plan or do you go with the flow and see how things unfold? HH: It depends. Sometimes I’ll get an idea based on a melody that comes to me. Sometimes it’s an emotion or feeling I get that inspires me to create a certain sound. Often, I’ll create a song based on a sound that I come up with that lends itself to a certain mood or feeling. Sometimes songs seem to almost write themselves, they come so easily. On occasion, it can be a grueling experience. Most often I’ll create an idea for a song, get the basic structure fleshed out, then back away from it and move on to something else. This way, I can come back to it fresh, ears rinsed out, and decide where to go from there. I can’t count how many ideas get tossed when coming back to them and wondering what the hell was I thinking. I always archive them, though. If I come back to it and I feel like I’ve captured the passion when I created it, I’ll see it to completion. KARA: You have dedicated A Distant Light to your mother and father. They fostered your creativity. As a youth what encouragement or words of wisdom did they provide you that made the difference for your artistic side? HH: I was in a rock band when I was eighteen. In it’s last year, we practiced in my mom and dad’s garage, because it was all the band had for a location. How my mom and dad made it through that year is, to this day, unbelievable to me. They bought me a keyboard stand for Christmas that year and it was a huge gesture. All they cared about was that whatever I was doing that I did my best. They fostered my art and music every step of the way. I always had their support. I was incredibly fortunate to have had that. Sadly, they passed on before I could share the fruit with them. My mom did get to hear some of the music before it was mastered and before she passed on. I’m thankful for that. KARA: Hearts of Space has played your songs and you received an excellent review from Sonic Immersion. Congratulations for a very well deserved ‘My Choice’ award! HH: Thank you very much! I’m overwhelmed at the positive feedback I’ve received so far. It is definitely encouraging, so I’m really looking forward to sharing future work with everyone. KARA: What do you see, in the future, for your music? Are you working on something new? A different technique or challenge you would like to share with us? HH: I am working on a new CD, which should be out sometime near the end of the year, no dates nailed down yet. All the songs are nailed down, I’m just working out the mixes, levels, etc. I’m incrementally adding new software, instruments, effects processors and such, so I’m constantly in learning mode, but I always make an effort to save out successful experiments. I’d like to put out one CD every year, but that’s pretty ambitious for someone who has a full-time job and also wants to draw and paint. There isn’t enough time in the day or even in a lifetime for everything I want to do. I need a dozen lifetimes, at least! KARA: How can we follow your work, hear your music, and purchase a copy of A Distant Light? KARA: Any thing more you would like the readers to know about A Distant Light and your music? HH: Just that I’m very thankful that so many people have taken the time to give my music a listen. I am truly honored. I look very forward to sharing my future work. KARA: Thank you for spending this time with my readers and sharing your music, Hollan. We are definitely looking forward to hearing more of it! Thanks again, Hollan. And if my readers have any questions for Hollan Holmes about his music, just leave a comment to ask him. We will be updating posts with responses throughout the week. Great to learn about another artist to follow. I’ve been a Hearts of Space fan since college. Me too, Beth! His music fits perfectly there, right? Great interview. This album is wonderful, as is the artwork.